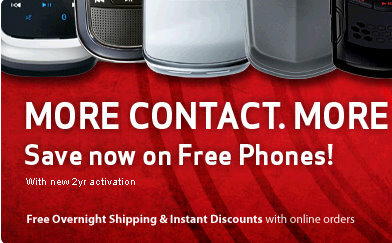 Verizon just announced they are giving away a free LG Accolade mobile phone with a new 2 yr activation. This is a great idea from Verizon – give a way a free phone to build up customers on the mobile phone carrier side of business. I’m of the opinion that Google will eventually start giving away, or subsidizing heavily, all Android powered phones. The reason, because the more people using Android handsets, the more people are browsing the mobile web and seeing ads within the Google network.